Congress may consider blocking the United States and Cuba from conducting joint security exercises until the Obama administration can prove the communist regime has dialed back its anti-American efforts, according to a letter sent to the Pentagon and obtained by the Washington Free Beacon. Sen. Ted Cruz (R., Texas), a leading critic of the administration’s detente with Cuba, petitioned Secretary of Defense Ash Carter on Wednesday, demanding that he disinvite Cuba from the upcoming Caribbean Nations Security Conference, which will be held later this month in Jamaica. Cruz is concerned about recent reports that Cuba is in possession of a dummy American Hellfire missile. The inclusion of Cuba in these sensitive discussions is "reckless" and any invitation should be rescinded "at the very least until the Hellfire is returned to the United States," Cruz wrote in the letter. In the months since the Obama administration renewed relations with Cuba and removed it from the official state sponsors of terror list, the Cuban regime has continued to harbor fugitives from the U.S., including one who was convicted in 1977 of murdering a New Jersey State Trooper. Cruz maintains that it is not in the national security interests of U.S. to include Cuba in the high-level security talks, which were announced by the Pentagon earlier this month. It seems "recklessly premature to participate in a joint security exercise with Cuba this month, especially as they seem likely to only use it as a platform from which to demand the return of Naval Station Guantanamo Bay," Cruz wrote, referring to recent indications by Cuba that it will push the Obama administration to return the land currently being used to house terror suspects. "I would like to know the rationale behind this decision, and I urge you to reconsider this invitation at the very least until the Hellfire is returned to the United States," Cruz wrote. The senator also disclosed current discussions in Congress aimed at barring the administration from conducting joint military exercises with Cuba. "I also warn you of my intention to insert language into the FY 2017 National Defense Authorization Act prohibiting any future such joint exercises until Congress receives convincing assurances that the anti-American posture of the Castro regime has undergone a material change," Cruz wrote. Pentagon leaders disclosed this month that, for the first time, a delegation of Cuban officials would participate in the annual Caribbean security conference, which is run in part by U.S. Southern Command. "We've normalized now and, regardless of how we think of each other in terms of politics, we have very, very common challenges," Gen. John Kelly, Southern Command’s leader, told the Associated Press. Cuba continues to pose a danger to regional stability and has continued to illicitly move arms to nations like North Korea, according to Cruz. 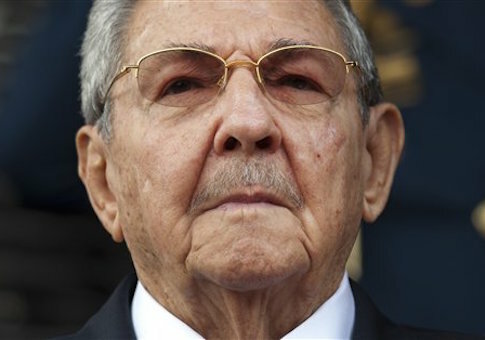 "Regardless of the diplomatic détente offered to Cuba by the Obama administration, the regime of Raul and Fidel Castro has been for more than half a century the implacable enemy of the United States," Cruz wrote. "They have detained our citizens. They are still harboring fugitives … they have participated in violent, destabilizing activities through the region, notably in Colombia and Venezuela," according to Cruz. The lawmaker has requested that the Pentagon respond to his letter no later than Jan. 25. This entry was posted in National Security and tagged Cuba. Bookmark the permalink.